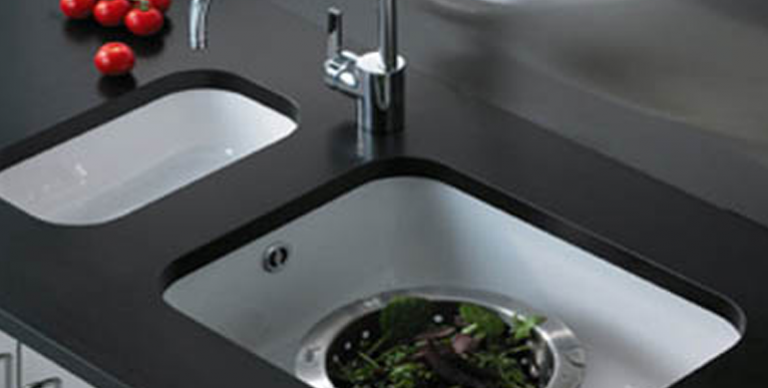 In the recent years, granite has become a preferred choice for creating countertops. Thanks to granite traders in India for rendering a variety of granite product with multiple finishes.In addition to its stunning beauty, other reasons that contribute to its popularity include durability, strength, stain resistance, and ability to withstand extreme temperatures and pH conditions. As soon as we imagine granite countertop, the very first image that strikes our mind is of a polished granite countertop with a highly glossy surface. Nevertheless, there are other finishes too that are fairly popular with flamed and honed being the most-preferred ones from granite traders in India. The appearance of granite slab can be easily altered with different finishes, hence it is suggested that one should choose the finish of a granite slab keeping in mind the usage, place of installation and aesthetic elements as well. Polished Finish: Granite with a polished finish has a mirror-like texture with an ability to reflect light. Owing to such features, it is by far the most preferred granite finish among interior designers and even homeowners for kitchen installations. The richness and grace imparted by polished granite is simply matchless. 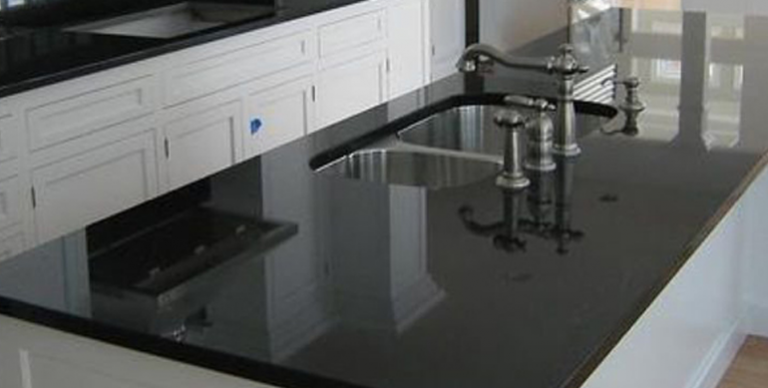 Moreover, the shiny surface of polished granite doesn’t allow stains and dirt to settle on its surface; hence making it suitable for creating kitchen countertops. Polished granite from granite traders in India works well in work areas as for example, a granite island can be effectively transformed into a food serving or dining space. 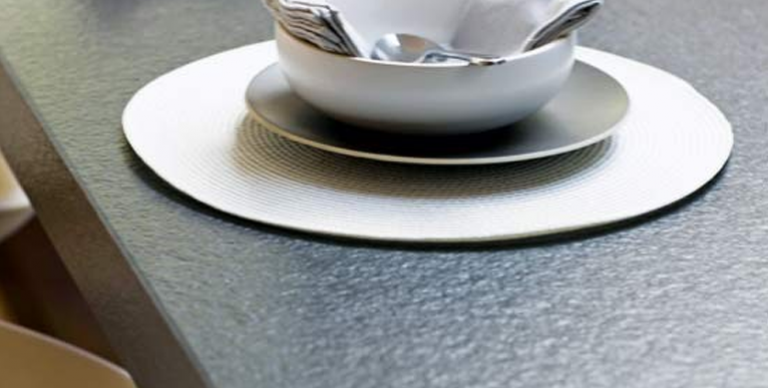 Not just as a countertop, but polished granite is equally popular for flooring in a formal setting. Available in a range of shades like white, grey, gold, black and white; granite in polished finish can be used to create a dramatic effect. This could be easily achieved by considering dark shaded granite for countertop with contrasting light toned granite as backsplash. Honed Finish: Granite with honed finish have a matt texture that lacks the light-reflecting feature of glossy finish granite. However, it still has a smooth surface and offers a decent work surface. Honed finish granite is also suitable for flooring as it doesn’t show the marks of traffic patterns prominently. Other than this, honed finish granite are also preferred for countertops and backsplashes, where one wants to mask the effect to some extent. With honed finish in granite, you can’t be assured of durability and longevity, but also stunning looks that are in huge demand these days. In fact, in the recent years, dark shaded granite with matt honed finish has evolved as a contemporary alternative to classic polished finish. Note: The degree of honing varies from slab to slab; hence it is suggested to analyze individual slab for the level of finish. Flamed Finish: Using a controlled finishing technique, this finish is achieved by heating granite to extremely high temperatures. This causes grainy particles on the granite surface to blowout and change the surface color; eventually producing a rough texture with more faded and natural appearance. Usually, the colors in flamed finish granite are masked to a greater extent with dominant charcoal and tan shades. The flamed finish granite is considered suitable for home installations, especially in areas that are likely to get wet frequently. In semi-open living spaces, decks and patios; flamed finish granite produces a highly dramatic effect. Granite with this finish also performs well in open-plan kitchens and exteriors. Furthermore, it has now been widely used as shower floors, where other natural stones are generally not recommended. Owing to its captivating beauty and exceptional properties, granite is continually gaining popularity for flooring and countertop applications. Moreover, introduction of newer finishes in the market has further led to the use of granite in a more innovative and appealing ways. India has huge deposits of granite with over 100 varieties that are globally acclaimed for its matchless quality and amazing looks. Regatta Granites India, a leading supplier and exporter of Indian granite, offers more than 70 variants of Indian granite in multiple sizes, thicknesses and finishes at highly competitive prices.